What is the most important information I should know about hydrochlorothiazide and metoprolol? You should not use hydrochlorothiazide and metoprolol if you have a serious heart condition such as "sick sinus syndrome" or "AV block" (unless you have a pacemaker), slow heartbeats that have caused you to faint, or if your heart cannot pump blood properly. What is hydrochlorothiazide and metoprolol? 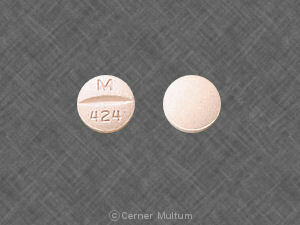 Metoprolol is a beta-blocker. Beta-blockers affect the heart and circulation (blood flow through arteries and veins). 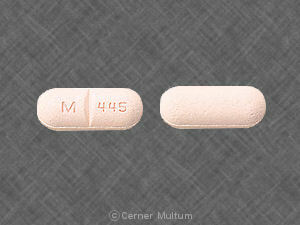 Hydrochlorothiazide and metoprolol is a combination medicine used to treat high blood pressure (hypertension). Hydrochlorothiazide and metoprolol may also be used for purposes not listed in this medication guide. What should I discuss with my healthcare provider before taking hydrochlorothiazide and metoprolol? Hydrochlorothiazide and metoprolol can pass into breast milk and may harm a nursing baby. Tell your doctor if you are breast-feeding a baby. You may take hydrochlorothiazide and metoprolol with or without food. You may have very low blood pressure while taking this medicine. Call your doctor if you are sick with vomiting or diarrhea, or if you are sweating more than usual. Prolonged illness can lead to a serious electrolyte imbalance, making it dangerous for you to use hydrochlorothiazide and metoprolol. If you are diabetic, check your blood sugar carefully. Taking hydrochlorothiazide and metoprolol can make it harder for you to tell when you have low blood sugar. Do not change your medication dose or schedule without your doctor's advice. If you need surgery, tell the surgeon ahead of time that you are using hydrochlorothiazide and metoprolol. Do not stop using hydrochlorothiazide and metoprolol suddenly, even if you feel fine. Stopping suddenly may cause serious or life-threatening heart problems. Follow your doctor's instructions about tapering your dose. Overdose symptoms may include fast or slow heart rate, trouble breathing, or fainting. What should I avoid while taking hydrochlorothiazide and metoprolol? Drinking alcohol can further lower your blood pressure and may increase certain side effects of hydrochlorothiazide and metoprolol. What are the possible side effects of hydrochlorothiazide and metoprolol? What other drugs will affect hydrochlorothiazide and metoprolol? 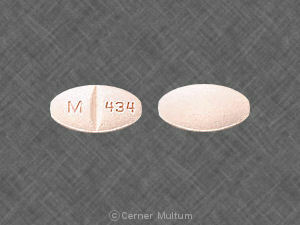 an NSAID (nonsteroidal anti-inflammatory drug) --aspirin, ibuprofen (Advil, Motrin), naproxen (Aleve), celecoxib, diclofenac, indomethacin, meloxicam, and others. This list is not complete. Other drugs may interact with hydrochlorothiazide and metoprolol, including prescription and over-the-counter medicines, vitamins, and herbal products. Not all possible interactions are listed in this medication guide. Your pharmacist can provide more information about hydrochlorothiazide and metoprolol. Copyright 1996-2017 Cerner Multum, Inc. Version: 5.02. Revision date: 10/15/2015.